Advanced Facebook Marketing & Advertising (Video): Companion Video to "The Like Economy"
Published Dec 1, 2011 by Que. Part of the Que Biz-Tech series. In this video we explore six different ways to increase sales and achieve other goals with Facebook. Should you use a page and marketing to fans through posts on your Facebook page, or just use ads to send people to your website? If email marketing already works for you, should you start marketing through fans, or just use Facebook to increase the size of your email list? And when is a group better than a business page? This video helps you choose the best Facebook strategy for your business. It doesn't matter how many fans you have if they're not potential customers. What are the three key characteristics of good Facebook fans, and how can you ensure you get fans that have all three? What cost per fan can you expect from Facebook advertising? What advertising tactics improve your response and lower your cost per fan? This video includes proven ad copy formulas you can apply to your business to get qualified Facebook fans who are more likely to buy from you. Anyone can advertise with Facebook but few people follow the best practices that lower costs and improve results. What are your options for turning page posts into ads and how do they work? What kind of ad will brand your business so well that you'll wish you knew about it a year ago (and you won't want your competition to find out for at least a year)? What's the number one habit of successful Facebook advertisers and how can you copy it? 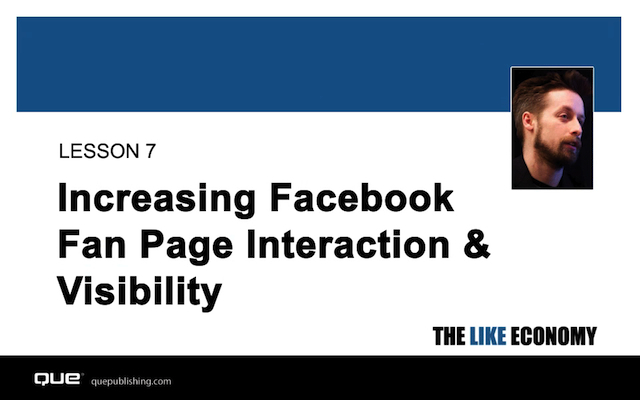 This video will turn you into a Facebook advertising rock star. Did you know people who aren't your friends could subscribe to your public Facebook updates? Why is this new subscription feature such a big deal and how do you get in on it? What critical privacy settings do you need to know about before you allow subscriptions? How do you get more subscribers? This is the perfect video for people who want to be more influential in their niche. If your business's customers are other busineses, you may have noticed that most Facebook tactics seem to only work for B2C companies. This video teaches proven Facebook marketing tactics tailor-made for B2B companies. What are the top four social sites for B2B and how do they fit together? How can you overcome being boring and get prospects to engage with your company? What little-known PR tactic will separate you from your competition? This video will make your B2B company a superstar in its category. The companies that win in online marketing keep track of the effectiveness of everything they do, find out what works and what doesn't, and do more of what works and less of what doesn't. How will better tracking improve your Facebook profitability, get you more fans who will actually buy from you, lower your costs and improve your sell-through rate? What's the best time of day and day of week to post on your Facebook page? Some fans unlike your page - where are most of these fans coming from? This video will help you improve your Facebook marketing results faster. A website without analytics is like a cardiologist without an EKG machine. You need to understand how people get closer to buying or why they don't, and at which step they get stuck - to do this, you must track each step. This video teaches you how to use two analytics tools to help you see what's going on with your potential buyers. Google analytics also provides other insights that will give you ideas on how to improve your Facebook results. Most businesses are looking to get some result from Facebook - for example, purchases or email signups. But Facebook is also about interacting with fans and leading conversations. So, will fans be turned off by salesy or demanding posts? How often can you post sales messages compared to interaction-stimulating ones? This video includes four case studies (both B2B and B2C) on how successful companies are mixing sales and engagement messages on Facebook. Also, learn how to better track your posts so you can discover what types of posts work and which don't, and increase your sales and fan interaction numbers. After most companies begin Facebook marketing, create a page, get some fans, and maybe even experiment a bit with advertising, more sophisticated issues present themselves. How do you best integrate Facebook marketing with your other online marketing and traditional marketing efforts? Do you have a clear strategy to achieve profits and other results? How do you improve advertising performance, get more of the right fans, get them more engaged, balance your engagement posting with sales messages, and learn what posting approach gets you the most sales? This series answers those questions with proven strategies and tactics and tips.